Whenever I have had to travel for a performance, someone else has taken care of the travel and accommodation arrangements for us. As a result, I have had a lot of experience of different standards of accommodation being provided. I also know how important it is for the peace of mind of the performers, and for a good performance, that these practical arrangements are carefully sorted out, ideally well in advance. Today, I booked the accommodation for all four of our visiting singers and musicians for The Story of Gitanjali. I thought they should stay somewhere close to the Gold Hall. This would make the travel arrangements within Brussels much simpler and would also allow them to be within a short walk of the main places to visit while they are in Brussels. I had thought that renting a large apartment for their visit would be easiest but then discovered that hardly any holiday rental apartments in central Brussels offer so many bedrooms or have more than 2 bathrooms. This didn’t seem like it would be a good idea. 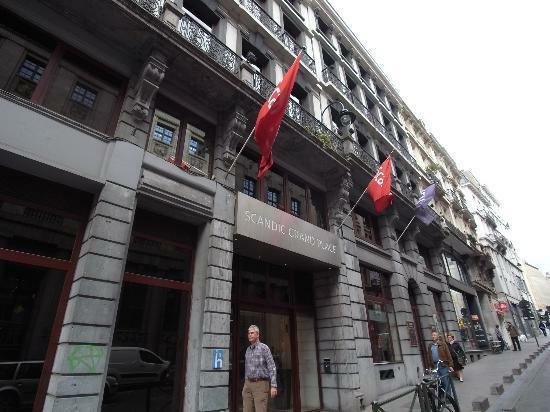 So, to make things simpler for us and for our artists, I found a hotel within a short walk of both the Grand Place and the Gold Hall where each of them have their own room with attached bathroom. The hotel has been highly rated by people who have stayed there and, thanks to a special offer, is less expensive than renting a large apartment would have been. We were pleased to hear that our friend and Chitrangada associate producer Enrique Nicanor will be coming to Brussels for the premiere. He has kindly agreed to stay with our artists to help them during their visit. Another friend, Judy Stowe, has kindly offered to help us, including joining us to meet the artists at the airport and dropping them back. In the coming days, I’ll need to prepare a timetable for the weekend so that we and the artists know when and where they should be during their stay in Brussels. Wow!!! Astonishing organisation! Thanks Kaberi for the production arrangements. Thank you, Enrique, for all your kind help. Looking forward to seeing you again soon.